I thought it would be a nice follow up to my previous post on everything to do with the Northern Lights (or as much as I could think of hah) to lead with a tutorial on how to capture them. 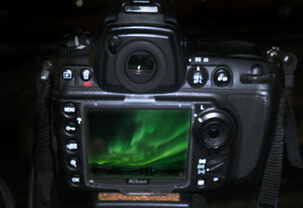 What equipment do I need to capture the Aurora Borealis? How will the Full Moon affect my shots? Worried about your camera in cold weather? When should I head outside? DSLR or Digital Camera – As long as the camera allows you to manually control the cameras Aperture, Shutter speed and ISO settings then you’re good. Tripod – Essential to Aurora Photography. A lot of Northern Lights photography relies on short to long exposure times, anything from 1-2 seconds to as much as 20-30 seconds. So being able to keep your camera stable the entire time is of utmost importance, or you’ll end up with 00gly blurry pictures. High aperture lens – You’ll need a lens with a low f number (known as high aperture). Anything smaller than f4 is perfect. The smaller the number the more light is allowed into the camera, so the shorter your exposures will need to be 🙂 I use a Sigma 20mm f.1.8 and Nikon 14-24mm f2.8 lens. Intervalometer – If you’re interested in creating timelapse movies of the Aurora Borealis, you’ll need an Intervalometer. This is a device that takes pictures on a timer, a repeated number of occasions, so you can collate them together later to create a video. Spare Batteries – If you’re outside waiting for the Northern Lights, chances are it’s darn cold! The cold eats away your batteries life like nothing else. Highly recommend keeping 1-2 extra spare batteries with you, and keeping them close to your body (like in an inside pocket perhaps). When the battery in your camera is running low, switch for one of your warm batteries. Your used battery will regain some of its battery life inside your pocket again and once again you can switch etc. Aperture – The wider the aperture the better. This is the f number on your camera. Aim for f4 or wider (i.e smaller number than 4). I use f1.8 on my Sigma 20mm and f2.8 on my Nikon 14.24mm. ISO – You should be able to find this setting in your cameras menu. Start off with an ISO of 600-800 and see how this fares on your camera. Certain cameras handle high ISO’s better so you may be able to raise this number. ISO is basically your camera’s sensitivity to light. So by raising this number you allow more light into the camera (therefore reducing the shutter speed or the amount of time 1 shot takes) BUT you risk more ‘image noise‘ in your shot. It’s all compromise. Weak Aurora – 10 to 30 second exposure. Set the Camera to ‘Bulb’ Mode. In this mode you control the shutter speed simply by holding the shutter release down for the amount of time desired. White Balance – You can find this in your camera menu too. Even though on most DSLR cameras you can shoot in RAW Mode, and adjust White Balance later on, this isn’t always an option with Digital Cameras. Set your White Balance to Auto. This should handle most situations well. Focus – A lot of people struggle with how to set their focus. It’s pitch dark outside, and it’s hard to get your camera to focus on anything. The rule of thumb with Astrophotography and Northern lights photography, is to set your camera’s focus ring to ‘Infinity’. This will appear as the ∞ symbol on most focus rings. This should mean the stars are in focus, which is what really gives Northern Lights shots their sharpness. Settings close to the above will give you some nice Aurora shots =) From there it’s just tweaking things by yourself once you get a feel for it. NB – If at all possible shoot in RAW mode. DSLR cameras should all have this setting in their menus where you can choose the image mode i.e. JPEG Fine, JPEG Normal, RAW. Shooting in RAW mode means you will have much more flexibility later on to edit the image’s color balance, exposure, contrast etc. Jpegs compress the images as soon as you take them and you therefore lose a lot of the data that allows you to make changes. Pros – Lights up landscape naturally. Give’s more foreground detail so you don’t end up with black foregrounds. Allows you to use a lower ISO or alternately you can shorten the amount of time you’re taking a shot for (exposure). Cons – Capturing the star field and/or the Milky way becomes very difficult due to moonlight obscuring the universe from us. Pros – Easier to see weak Auroras. Allows for more stars in your pictures, possible Milky way if you’re pointing your camera at the right place. Cons – Foregrounds tend to be very dark with less detail in the other elements of your shot. You may need to compensate and higher the ISO, or increase the Exposure time of your shot. 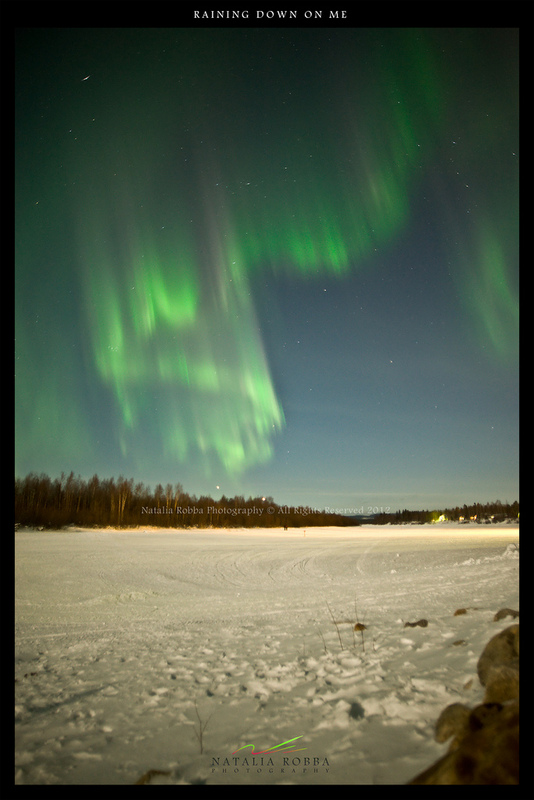 Here are two examples showing some of my Aurora shots during the Full Moon, and New Moon respectively. Both shot’s are interesting in their own way, but I personally prefer to make my Aurora shots better ‘all around’ pictures, and not just about the Northern Lights. There are some simple tips you should follow, and if you do, you should have no problems whatsoever. Condensation – This is the true danger when it comes to potential camera damage. When you’ve been outside in extreme temperatures, and you go back indoors again, there’s a sudden increase in temperature which can cause condensation on your camera. If you’re unlucky this could damage the electrics of your camera (has happened to a friend so it’s no joke!). A simple trick to avoid this is to place your camera inside a re-sealable plastic bag, or alternately the camera bag. Then take it inside. Don’t remove the camera from it’s temporary casing for a while, let it gradually acclimatize to the new indoor temperature. Don’t breath on the lens – Easy mistake to make! Try and keep your face away from the front of the lens, it can steam up your lens pretty fast and ruin potentially great shots (doh!). This is probably the most challenging aspect of Aurora Borealis photography. The single most important thing (aside from Auroras ofcourse) is an interesting foreground. Pictures of the Aurora Borealis are plentiful, but the real gem’s are the ones where the Northern Lights are NOT the main feature of the image, but an complimenting feature. All of my favourite pictures from other photographers involve beautiful foregrounds i.e frozen lakes casting the auroras reflection, pebbles on a lake, cabins, churches etc etc. It’s a challenge because it’s hard enough travelling and searching for the Aurora without having to also find the perfect spot to shoot from! Trust me though, if you can map out your area in the daytime, come night time you won’t need to do it and can just focus on capturing the Aurora. I’m victim to this myself, the first time I saw the lights I was completely trigger happy! I look back at those early shots now and think ugh! Each time I go back there I like to think my shots get a little better as I try and incorporate interesting foreground elements. A bench, a snowmobile, your camera on a tripod (if you’ve got a spare), log pile, heck even yourself sitting on the snow, your dog, friend, snow prints, snow mounds…the list goes on. Seriously, having something in the foreground gives the photo real depth and it therefore looks less ‘flat’. and now some of my later work trying to incorporate the basic steps above. Chances are…if you’re hunting the Northern Lights, it’s cold!! Unless you’re in Iceland in which case it might just be decidedly nippy 😉 Either way, you need to make sure you’re comfortable, and dressed safe as you’ll probably be spending hours outside. Thermal Underwear – To start it all off you’ll need some good thermal underwear. That includes a thermal top and thermals pants. Outer layer – This is the outer jacket over you mid-layer. This layer has to be wind proof/waterproof. A lot of the better jackets are breathable and use materials such as Gore-Tex. Socks – This ones pretty important 🙂 A lot of times when I’m shooting the lights, the first part of my body to feel the cold are my feet. Invest in good socks! Honestly, the best socks are those made from 100 percent wool. I use a pair of thermal socks, covered with a loose pair of woolen socks. It’s important not to buy tight socks as your feet need room to ‘breath’ and retain warm air in your boots. Boots – Pretty self explanatory 🙂 Get some waterproof shoes, snow wets up those shoes fast! So definitely invest in some waterproof boots. The ones with higher ‘heel’s keep your feet warmer as they’re further away from the cold floor. Hat – Always wear a good hat. We lose a lot of hear from our heads and our ears are prone to the cold so always keep am covered up. As far as the camera goes, if you’re not going to be using it for a while, take it off the tripod and keep it close to your body, it will preserve the battery life. Word of caution! Don’t touch the tripod legs without your gloves on! (Unless you’ve got padded legs in which case you’re golden). If it get’s cold enough can be pretty painful touching such cold metal with bare hands! Predicting the Aurora Borealis is tricky business, I go into this subject in some detail in another of my blog posts about the Northern Lights. Like the weather, Aurora Borealis predictions become more accurate the closer we are to dates in question. It takes 24-48 hours for solar wind to reach us from the Sun when Earth facing Coronal Mass Ejections (CME’s) or Solar Wind Streams leave the sun. So when either of these events are occur we can expect some Auroras. Geographic Institute at Fairbanks University – A popular general prediction model. Good used as a general guideline but not updated everyday. Predictions are made for 5-6 days ahead, however if an event occurs on the Sun, this prediction model will not account for new activity due to it’s update intervals. Take with a pinch of salt. SWPC Prediction Center – Ovation Model – A good realtime model showing the Aurora Borealis’ current oval over the Earth. The brighter the green (or white) in the model, the more intensely the Aurora can be seen over the estimated geographical location underneath. SWPC KP Model – The Kp model is an indication of the current Aurora’s activity level over a 3 hour period. Kp values of 3+ are considered to be conducive to Geomagnetic storms and more intense Auroras. However, Kp’s as low as 1/2 can sometimes spark some wonderful Auroras, especially if you’re situated directly underneath the Auroral band. This is because there could be isolated substorms that do not last for a long enough period to register as a high Kp number, so the average will be lower. Astronomy North – These guys tend to be pretty accurate with predictions and likely monitor events on the sun as well as current solar wind data. The most important thing to remember with the Aurora is that you need to be patient. She could make you wait hours but it will be totally worth the cold and frustration when she finally puts on a show for you. To conclude, I really hope you find the above information helpful and are now well on your way to producing your own Aurora Borealis photographs. I would love to see any attempts and am happy to offer advice/suggestions. 1. At what time of the year were you in Abisko? I’m considering going there in late Sep / early Oct, but am worried that the sky may not be dark enough and there appear to be no organised activities for that period (too early for winter activities and (I assume) too late for summer activities). What’s there to do on my own? 2. Do you really think a compact camera with manual control for aperture / shutter speed / ISO – with a tripod – would work almost as well as a DSLR (I have a Nikon D60)? What do you think would be the major drawback with a compact? 3. Apart from Tromso, where (particularly within Iceland and Greenland – although any other suggestion would also be appreciated) do you recommend for photos of aurora reflected on water? 1. I’ve visited Abisko 3 times now, all in the months of February/March. Honestly weather hasn’t been good at those times (even though March is a stable month weather wise), I pretty much just got lucky with clear skies on certain nights. September/October is a fantastic time activity wise for the Aurora being in the equinox, and the temperature will be much more pleasant for Aurora viewing! Downside is the lack of snow and activities but I am sure there are still activities to do i.e. fishing/hiking/sightseeing etc. Mount Nuolja is spectacular to visit (just 5 mins in car). 2. Absolutely! The Nikon D60 is not a bad camera at all, and I wouldn’t really class it as a compact, more a consumer level SLR. So definitely, just make sure your ISO is high at about enough 600+, and you have a lens with low aperture. 3.This is a difficult one. There are so many beautiful locations but I also consider weather when I rate Aurora locations. You can get some fantastic reflection shots outside of Ivalo, Finland (Paatsjoki River Bridge, Nellim). I took this picture there http://www.natalia-robba.com/photo.php?imageid=6969501873. It is also blessed with quite stable weather and is a beautiful place. Many thanks for responding so quickly and with such detail, Natalia! I just realised my Q2 wasn’t very clear – I do see my D60 as my ‘DSLR’, but I was actually trying to compare it with a ‘true’ compact with manual controls (Canon SX230 HS). I love your reflection photo from Ivalo (as well as many others I have seen on this site)! Aaah gotcha 🙂 I nearly purchased the Canon SX230 look’s like a great compact. Thanks – you’re a legend! Btw, I like your photo tips not only because of the amount of information provided, but also how it is presented (ie format, use of simple English etc). Well done, and ciao! Thanks Carrie! Made any trips up North to try it out? This is an awesome source of information!!! Any “user tips” for a trip to Churchill first of Nov????? so sorry I missed this post. Did you make it to Churchill in November? 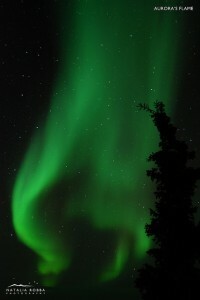 Thank you for sharing the cogent information on those seeking to see and photograph the Northern Lights. 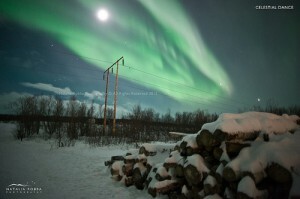 My wife and I are going to be in Abisko from October 31-Nov4, 2013……. Hoping to be able to be graced with the spectacle you have shown to us! The clothing recommendations are priceless as we are two retired retards from the sunny balmy beach of Ventura,California……trying to get layered for this bucket list adventure.! !, hahahaha….. Seems I missed all postings on this page! How was your trip did you make it to Abisko in November? Hi Natalia, thanks for this really useful guide. My husband and I are heading to Northern Iceland in mid February for 5 nights. We have a canon EOS 700D but in truth have not yet progressed much beyond the auto settings yet, so I will need to get some practise in before the trip! On your advice I am looking at buying a tripod, remote switch and high aperture lens. Canon do a well priced 50mm lens f/1.8, do you think 50mm would be ok, I know you use something more like 20mm but I as a holiday snapper I am trying to balance results and cost!? How was your recent trip to Iceland? Apologies for my late reply. How was your trip to Iceland? Did you get to see any light in the end? Not sure if it’s any good but the 50mm is more of a great portrait/generic lens. You won’t be able to get much of the sky in the shot with that lens, but..I have seen some people get interesting aurora curtain formation shots with it. Great site and the infomation that you provide as well as your photos are excellent – I am sooo jealous. I noticed that you planned to be in Iceland in Feb/March 2013 – how did it go. I too am planning to see the Northen Lights at the end of March 2014. Any tips! I will be based in Reykjavik for 4 nights. I will be taking my Nikon D5200 and Olympus E5 DSLR’s as well as my Nikon AW100 compact plus tripods. I always tend to use Manual Focus at night as I never really trust the Nikon to Focus correctly. I always shoot raw when possible and depending on the effect I want I adjust the exposure time over the ISO Setting – high ISO shorter the exposure time. I find with the Nikon I do get noise at high ISO, whereas the Olympus seems to be better at filtering the noise. At the begining of the year I was at Nord Kapp @ the top of Norway, unfortunately it was heavily overcast the whole time I was there so I was unable to get any good night shots although during the day the Fjords were brilliant with heavy banks of sea mist comming in. As I will not be hiring a car it would be great if anybody knows of any good tour oporators around the Reykjavik area to get out of the city into some good open landscapes. Hi Andrew – I’m not Natalia obviously, but I have previously benefited from this website (thanks again, Natalia!) and thought I’d come back to share my own experience in Iceland in late October, especially since Natalia has not responded yet. I hope you don’t mind, Natalia! First of all, there are lots of tour operators that run aurora chasing tours from Reykjavik, and you will find heaps of brochures at your hotel / hostel reception. People generally just sign up on the day or the day before, and the operator usually decides around 6pm each evening whether the weather conditions are favourable enough for the tour to depart. Most (if not all) of them allow you to do the tour again (and again) for free until you actually see the lights. I went with Sterna, which was good, but probably just as good as any other company. Reykjavik Excursions is probably the biggest tour operator there but I haven’t used them for aurora tours, although I’m sure they are fine too. Secondly, I (as well as most people I know) have found that the aurora forecast on the Icelandic Meteorological Office’s website has limited relevance because auroral activity is hard to predict and changes very quickly anyway. I have to say though 4 nights may not be enough. I didn’t see anything until my 6th night in Reykjavik. Luckily, when it did appear, it was absolutely spectacular!! Thirdly, I am extremely envious of Natalia’s photos with those interesting foregrounds. I did try to capture some foreground in my photos, but since I chose to go during new moon (as I was concerned that I might not be able to see anything during full moon), the foreground appears very dark in my pictures. I also note that most of the aurora chasing tours take you to places in the middle of nowhere to ensure unobstructed views of the sky, which unfortunately also means that there is little to make for interesting foreground for your photos. I love your blog, so informative! I will be going to Abisko in the middle of January next year. Did you go to the sky station to have supposedly the best spot on earth to capture aurora borealis? 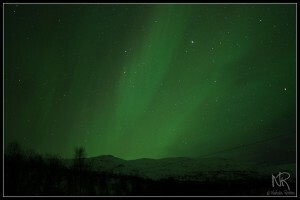 I am thinking of taking the chair lift up to the sky station but then I am worried that the lights of the abisko village and from the cafe at the sky station will pollute the foreground of my aurora borealis photos. From your experience, did the village lights and the lights from the sky station cafe pollute your aurora borealis photos? Would you say it’s better to drive away from the village in terms of location than to go up to the sky station? I will be taking Nikon d7000 with me, with wide lens f/4,what ISO and shutter speed would you suggest for me to capture the aurora? I also have a tele lens (not wide lens) f/2.8, do you think I should bring it too? Or would the picture be eugh in comparison to wide lens photos? If you think it is worth it for me to use the tele lens as well, what ISO and shutter speed would you suggest me to use? Hi there I’m of to Lapland on the 18 th of this dec staying at the saariselka hoping to see the northern lights I’m taken my canon 60 d just asking if any one got any good tips to take some picture of the lights ???? 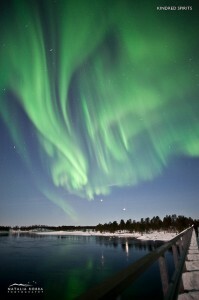 did you see auroras in Saariselka last month ? I was in this village earlier in december, and I had the chance to see one aurora the 1st night … for the 1st time in my life ! I don’t know when I return to the northern countries, but I’m sure I’ll go there again ! It is full of excellent advices , I followed all of them and have been able to take some pictures of the aurora , because I and my DSLR were ready for this job. Hi Andrew, did you see any lights in Saariselka? Unfortunately I was unable to see the Lights in Finland/Norway as it was very overcast and the prospects were not so good. I was however able to see them in Iceland at the end of March and got some good photos. I went with an organised trip from Reykjavík which was quite good as they supplied us with coffee and cakes all night. The trip took us about 1 hour north of Reykjavík. We did not have long to wait (about 30 minutes) it started very slowly (not really visible to the naked eye, but could be seen after taking a picture). It then got really intense, lots of curtains across the sky only green though which was bit of a shame. We were out in the cold for about 1 and 1/2 hours taking pictures. It seems that I was the only one prepared. Most were trying to take pictures with their iphones. Even the ones with good DSLR cameras were not able to set them correctly and take any good pictures. I used your advice and set my infinity before I went out – this worked great as it was really dark and there was nothing really to focus on. Most of my exposures were arounf 25 – 30 seconds. I used NR to eliminate noise and managed to get about 30 good pictures. The next night I thought I would try to get a second sighting and went down to the Reykjavík waterfront and set up my cameras by the long boat statue. After about 2 hours it started to appear over the distant mountains and was really strong. Typical greens and some purple/red so it was probably quite close to the ground. Here I took about 80 pictures and they turned out really good. My infrared remote failed halfway through so had to rely on a 2s timer on my camera – which was a bit of a pain. These pictures turned out better than the previous night as the subject in the backgroung (mountain range) was better, and I could also use the statue to create some depth to my pictures. After about 1 Hour the display got less intense so decided to call it a night. Got back to the hotel about 3 in the morning and boy was it cold, even with thermals and down jacket and mutiple layers my hands were like ice-blocks. All in all it was a great trip as I managed to get 2 nights of good sightings (I was there only for 4 nights) so was really lucky. I learned a lot and your site gave me a lot of good tips. Things that I noticed was with the long exposures the stars obviously moved slightly during the exposure and appear to take up 2 pixels (shot at 16MP) This does not effect the overall quality of the pictures, but it is worth bearing in mind. do test runs before you actually go out, setup camera before and set your lense to infinity. Be prepared to change direction quickly as some amazing display happened overhead. A good tip if you have a tablet is to us a wifi card in your camera and view each shot as it is taken on a larger screen without having to disturb the camera. Carefull though this will use up more power so take lots of spare batteries. Sorry to send this twice. My contact info was wrong. I noticed you don’t check the messages on here very often but I hope to catch you. I’m trying to plan a trip to Marquette since I live in MI. I heard October is great for auroras so I’d like to go sometime next month. I’m thinking a weekend should suffice. I plan on being out there every night from 9pm to 3am if I have to! Would any of these work as well? What settings would you suggest? I’m hoping they will bring me different perspective views of the aurora! Set your cameras ISO as high as it will go before you start to see noise (image degradation). Try starting off with around 1000 ISO, and notching it up until you find your quality limit. Not sure what that is on your camera but on mine I start to notice my images get grainy on around 2000 ISO. Make sure your lens aperture is as wide as possible, on your lens that would be f3.5. Keep your shutter open for at least 20 seconds and see what results you get. If you catch some aurora but it isn’t bright enough, crank up the shutter time to around 30-40 seconds. That lens would be pretty cool for capturing a large portion of the sky, alternately you could stick to using your 18-55mm and keep it at 18mm. Hi, I only have a Nikon P310. Do you think it can be used in taking aurora pics? If so, any particular tips? 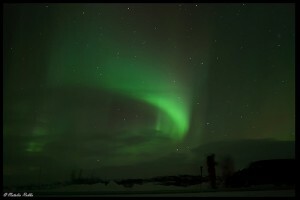 may i know if compact cameras like nikon p310 being capable for taking pictures of northern light? If s0, any special tîps? I haven’t used the P310 myself, however just looking at the specs yes you should be able to get some decent Aurora shots with it. It’s got a good wide angle at 24mm and also a great aperture at f1.8 for low light conditions. Set your iso to around 800 to start with, and depending on the intensity of the Aurora try setting your exposure time (shutter speed) to anything between 5 and 20 seconds (stronger the aurora the lower the exposure time). If you find the images are still too dark, try raising the ISO to 1000-1200. Try not to go too crazy increasing the ISO as the higher the ISO, the less quality and more noise your shots will have. I think the maximum shutter speed that my camera got is 10 secs, but anyway, I’ll try. 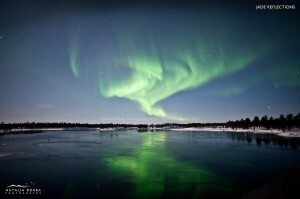 Before going to Lapland, do you have any suggestions on what in terms of daily life (e.g. night views) I can use to practice my camera? Sorry about the stupid questions, coz I’m really an amateur! That’s alright Cedric, in that case you should just compensate with the other settings. 10 seconds may well be enough if the Aurora is bright. In fact if it is very bright you may only need 2-3 seconds. If it’s not too bright though, then definitely make sure your ISO is as high as it will go. You could try going up to 1600 and hopefully there won’t be too much noise in the image. 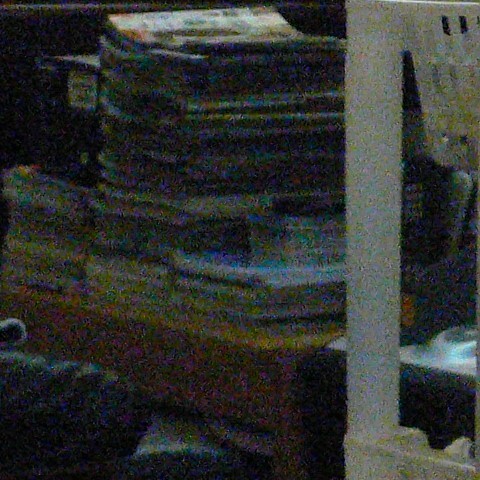 Its basically about finding an ISO compromise between extra light in the image and noise degradation. Hey they’re not silly questions =) The important thing for you would be to find your cameras infinity point, that is the point at which stars are in focus as with Aurora photography that’s what really brings the sharpness home. That model should have a feature called Infinity in the focus settings. Could also appear as the infinity symbol ∞ . Infinity will normally give you sharp stars. Can you find this on yours? Thanks. I’ll figure it out tonight and get back to you later on. Another problem is how I’m going to protect the tiny camera in coldness. If I put it on a tripod/ stand. Side question: Are you sister / cousin of Jamie Robba? Pls congrats him on the heroic performance against the Gers!!! Hello Natalia! Loved your blog! I’ve been in love with auroras for a very long time, but saw them for the first time early this year. Wow! I liked it so much that I will go again next year :). Thanks for sharing all those nice photo tips, I’m sure I’ll get better shots this time. I was wondering if you have any recommendation on tripods. I’ve been told not to use “cheap” ones, because they break with the cold weather. Been from Mexico makes that cold world a complete enigma to me, so I’m looking for the opinion guidance of some experienced cold-weather soul :). Any suggestions? Hi, I have just purchased a Nikon D3200. I have the 18-50 and 50-200 lenses. Would the 18-50 do for capturing the AB or should I look towards getting something else?? Am very new to photography with a DSLR but also have a Panasonic Lumix Z30 so will take that and experiment with that also. Planning on a mid Feb trip to Tromso so want to get the right kit before then! I am going to Iceland next week and am not having too much success in setting my camera (Nikon D80). When I am in a dark room the settings work using the remote. As soon as I bring the camera outside (tonight has a decent moon), the camera, using the remote, does not work at all. What am I missing that it will take the picture in a dark room but not outside? Thank you for any help you can give me. Probably too late 🙁 that is a strange one! Are you close enough to the camera with your shutter remote? Is the battery perhaps a little low on the remote and failing when a little further out? I hope you managed to get some shots nonetheless. Thank you so much for this post. I think this is the most comprehensive post about photographing Northern Lights that I have found on the Internet. It was very clear. AND you’re pictures turned out beautiful! 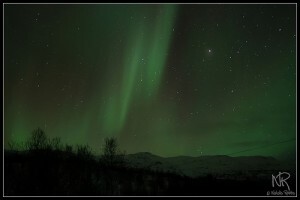 My husband and I will be heading to Iceland in April and I am looking forward to capturing the Lights. I have a lens question for you (hope you don’t mind!). I’m an amateur photographer. I own an old Canon Rebel 3T. I don’t have a huge budget but I wanted to purchase a lens for the Northern Lights. I was thinking of purchasing a Canon EF 50mm f/1.8 lens. Could that lens work well for this situation? I would appreciate any advice or thoughts! Hi Katy many thanks am glad you found it helpful 🙂 and thanks for your kind words on my photos. April is a good time but try to keep it as early as you can in April. Nights become exponentially shorter and you will have a smaller window of opportunity with regards dark skies. The aperture in that lens is fabtastic and certainly you can capture the lights well using it, however you will only be capturing a certain portion of the sky. Ideally you should be shooting with a wider angle lens, atleast 24mm so you can get the whole sky in your shot. I will take a look at lenses in that budget for you this evening as I am currently returning home from my latest aurora trip to Ivalo Finland. Thanks so much for your reply. Much appreciated. So good to hear that there will be Northern Lights happening in April. yay! So I plan on renting a lens for my camera. What are your thoughts on Canon 10-22mm f/3.5 ? I love your blog – sooo helpful. I am just starting my photography journey and am heading off to Tromso and around the top to the russian border – hoping to see the lights at some stage (leave in 3 days) – quick question, I am starting off with a Nikon V2 – I have a Nikon 1 Nikkor 10 and a 10 – 30 that I am planning to take with me….any tips? Do you think I will be able to capture anything?? Thanks so much for this clear and understandable guide! I’m in Sweden, heading to Abisko in two days, to try and see the northern lights, and have realised (through seeing this blog and getting a faint aurora last night in Kåbdalis) that I don’t have an infinity ring on my lens. I have a Canon 700D, with a kit lens – the EFS 18-55mm – and a EF 50mm lens. Do you have any advice for how I can get the best out of my camera with these lenses? Hi i just got the lens 20 sigma and i notice when you focus manual the distance scale wont chance and i wont know the knight if its the infinity mode ,is this normal or the lens is defective ? Hi there! I managed to capture the Aurora however, faces of people will be blur even though they stood absolutely still. Please advise on how can I get sharp images of persons and other objects in the foreground in addition to capturing the Aurora! Very late response but wanted to answer nonetheless hopefully this proves useful to you in future. That’s a very common problem, unfortunately since we strive for high apertures and a shallow depth of field, we have the issue of our foreground being out of focus. If we try using a low aperture to get the foreground in focus too, we wthen have the issue of not letting in enough light to properly capture the Aurora. The best solution in my opinion is a composite shot, basically, set your focus to infinity for the Aurora, take the shot. Then take a separate photo with your focus set to people in the foreground, take the shot, if you have trouble finding focus in the dark, temporarily flash a light source at the people to be able to focus your camera. Be careful not to move the tripod in between taking these 2 shots. Once this is done, merge the 2 photos, need a little bit of Photoshop know how to do this but, in my opinion the best way to get great shots of people and the Northern Lights. hi Natalia, thanks for your tips, sounds encouraging – I am off to Lapland Sweden, Iceland and northern Norway in Feb (in 4 weeks time). I have a Nikon d7100 and understand all the settings .. except setting the interval time. Is that time between shots or total of shutter speed plus time till next shot? If the shutter speed is on 20 seconds, would you still have around 15 seconds before the next shot – set an interval of 15 seconds?